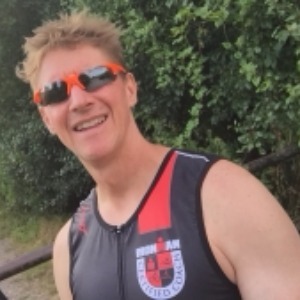 Head Triathlon Coach Phil has been Coaching Triathlon since 2004 and is a fully Certified IRONMAN and British Triathlon Federation Coach. Phil has represented Great Britain at both Triathlon and Duathlon Age Group World Championships having finished a respectable 20th place at the World Sprint Triathlon Championships in Hamburg in 2007. Phil also competes in Cycling Time trials with personal bests of 20:42 for 10 miles, 52.57 for 25 miles, 1:52:51 for 50 miles and 3:59:59 for 100 miles. "I believe in a an Athlete centric style of Coaching, where I can impart over 25 years of knowledge built from actually performing in the sport to the highest levels. I thrive on tailoring my Coaching style and training plans to the Athlete's training needs for their desired Triathlon goal. I seek to optimise performance, with targeted training and considered recovery time, hopefully leading to enjoyable race performances and minimised chances of injury. I also have a keen eye on the bleeding edge of Sports Science. Here at AerobicMonster.co.uk we believe that Triathlon is a Sport that enhances your Health and your Lifestyle and promotes Body well-being when managed correctly. We will take that out of your hands or work tightly with you to achieve this and any Triathlon goals you may have." Success. Coach Phil Jarvis has been notified of your message.